This gorgeous gal is Penelope. 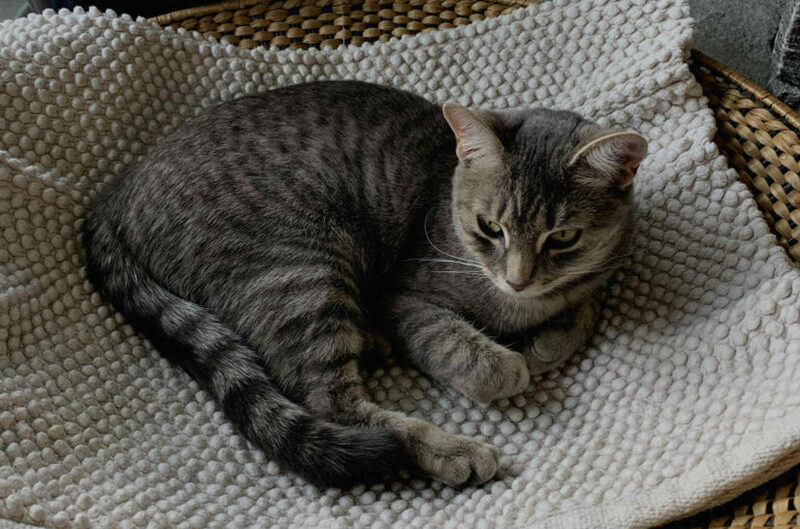 She’s a grey tabby who was only 18 months old when she was surrendered to the BC SPCA Nelson Branch on October 1, 2018. 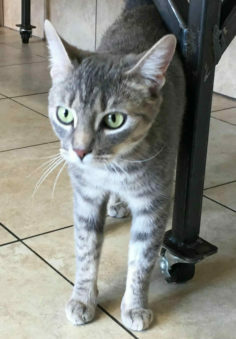 Her previous owner could not afford to keep her and made the difficult decision to bring her to us so that she had the best chance at finding another home. Our family adopted Penelope two weeks ago from the BC SPCA Nelson Branch. We went by the BC SPCA to drop off a donation that my seven-year-old daughter had raised at her birthday party, and ended up staying and adopting a cat. Penelope has been the most wonderful addition to our family. 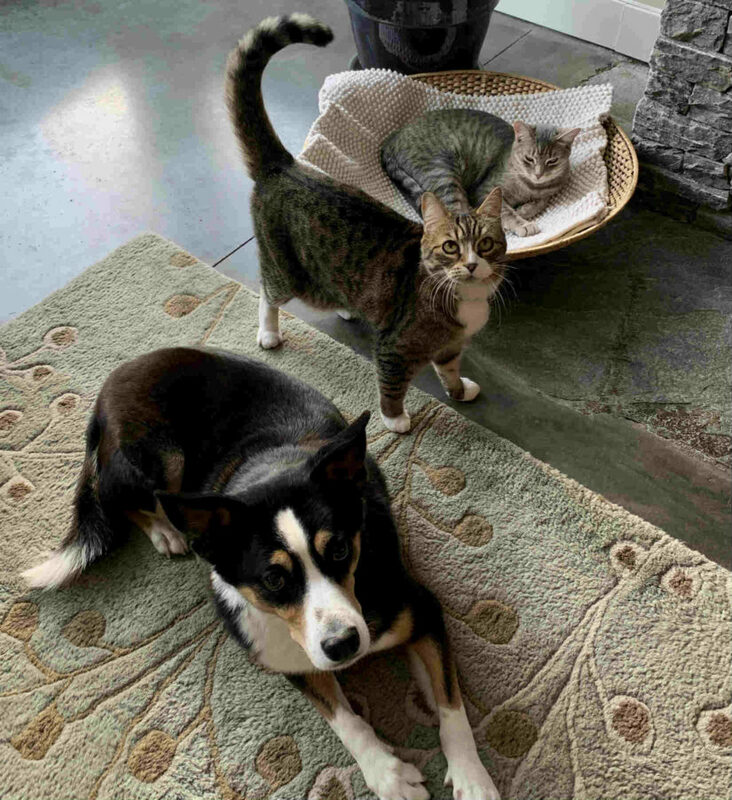 She is extremely calm and gentle with our two young children, and she is a playful companion for our 13-year-old cat, Webber, and ten-year-old dog, Clover. Many thanks to the BC SPCA staff! This has been a fantastic experience for us. Penelope will be a spoiled, loved, indoor girl for many years to come. 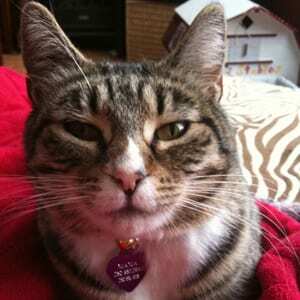 It is great to see how quickly and well Penelope has blended with your furry and human family. Thank you for making the decision to adopt, we wish you all many happy years of love and companionship.